After her frustrations with the Senate of the New Republic, Princess Leia was planning, anyways, on leaving the Senate. However, despite her initial intentions in simply flying around the galaxy with Han Solo, perhaps in a carefree manner, Princess Leia realizes she needs to do something about the growing threat the galaxy faces. Of course, having her father’s identity revealed in a most public manner also serves as a catalyst for her getting out of the Senate. If the princess was right, other paramilitary groups were out there, preparing to take the galaxy to the brink of war. The Senate showed no sign of being willing or able to take action against those groups, itself. Despite her long disillusionment with the political process, Leia only now realized the Senate was doomed no matter what she did. toward a little-used hangar on the edge of the capital city, one she’d signed an exclusive lease on the day before. The hangar wouldn’t serve their purposes for long. She would have to thing bigger, hide deeper, and go farther. For now, however, they only needed a place to begin. 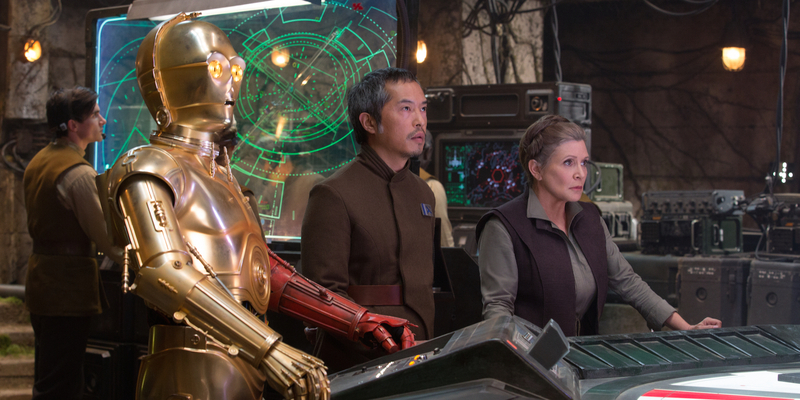 Leia scanned the room and saw no doubts, no hesitation. These people trusted her. They were ready. Finally, she was ready, too. The first thing that is striking with this last line is that she articulates that the New Republic will soon meet its demise, although she is not one to help it get there. The second thing of interest is that it is only in this last line – the final line of the book – in which the term “Resistance” is used. 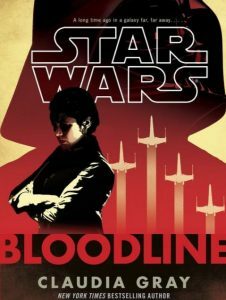 What we see in Star Wars Bloodline about what gives rise to the Resistance is Princess Leia’s perceptions of the weaknesses of the Senate in the New Republic and the rise of paramilitary groups operating without being checked. Now I’m curious to read about the rise of the Resistance prior to The Force Awakens….